Provides valuable information on the position of the American Academy of Pediatrics on the diagnosis and treatment of autism spectrum disorders. Information on medical/clinical treatment is provided in understandable terms. The Centers for Disease Control and Prevention’s (CDC) National Center on Birth Defects and Developmental Disabilities (NCBDDD), in collaboration with a number of national partners, launched a public awareness campaign called “Learn the Signs. Act Early.” The campaign aims to educate parents about childhood development, including early warning signs of autism and other developmental disorders, and encourages developmental screening and intervention. Contains the entire report of the NIH-funded investigation into ASD treatments. The results are reader-friendly and useful in analyzing the efficacy of any treatment program. 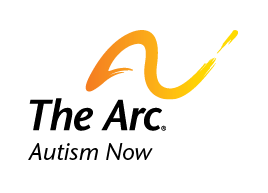 This site contains training articles written by staff members of the Indiana Resource Center for Autism. Topics include: general information, family and adult issues, educational programming, behavior, communication, sensory, self-help/medical and social/leisure. NECTAC is the national early childhood technical assistance center supported by the U.S. Department of Education’s Office of Special Education Programs. NECTAC serves all 50 states and 10 jurisdictions with an array of services and supports to improve service systems and outcomes for infants, toddlers, and preschool aged children with special needs and their families. Our mission is to strengthen service systems to ensure that children with disabilities (birth through 5 years) and their families receive and benefit from high quality, culturally appropriate and family-centered supports and services. The Professional Development in Autism Center (PDA) provides training and support for school districts, families and communities to ensure that students with ASD have access to high quality, evidence-based educational services in his or her local school district. The PDA Center has 6 sites located around the country that provide training and support to schools and families in providing services for students with ASD. They also offer an introductory on-line course about autism.